While pushing back your cuticles on a daily basis is certainly effective, it’s not always the best option. Sometimes, for seemingly no reason whatsoever, cuticles just seem to keep building up, not only changing the appearance of your nails, but possibly causing complications regarding flaking and irritating skin. As with any cosmetic product; however, it’s important to find something that does a great job without causing even more complications. This review will give three examples of the best cuticle removers, based not only on their overall level of value, but on how effective they are in relation to the irritation they may cause, ensuring you get the job done without any discomfort. 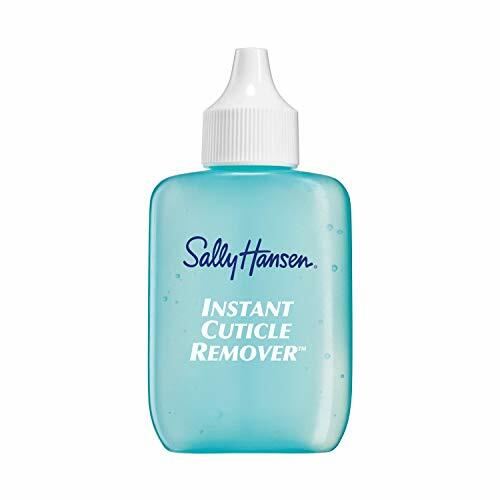 The only similarity you’ll find between the Sally Hansen Instant Cuticle Remover and other cuticle removers is its main feature – the ability to remove cuticles. Outside of this key factor; however, you’ll find it operates much differently than the vast majority of other products within its market. This is primarily seen through the ingredients used in its formula (as is the case with all cosmetic products). Not only does it refrain from using an abundance of harsh chemicals, it includes some ingredients often found in other skin care products (such as aloe) which makes the Sally Hansen Instant Cuticle Remover not only great at getting rid of cuticles, but it preserving finger and nail health. For example, when your cuticles have built up to the point of needing to be removed with a chemical product, it’s important to remember that there’s a reason that this happened in the first place. Cuticles are more or less just a congregation of dead skin. Dead skin, as it turns out, is also dry skin. So, after removing your cuticles, the smart thing to do would be to being treating your fingers with a moistening agent. This is where the secondary ingredients in the Sally Hansen Instant Cuticle Remover truly begin to shine. After removing your cuticles (quite effectively, I might add), the formula will then go on to treat the uppermost portions of your fingers, moisturizing and reducing the rate at which dry skin (the stuff in cuticles) begins to present itself. Not only does such a feature make the Sally Hansen Instant Cuticle Remover one of the more convenient products of its type through its all-in-one stature, it makes it rather frugal as well, being that you won’t have to buy yet another product to treat your fingers with after applying your cuticle remover (of course, this is assuming you don’t already have a preferred moisturizer). All of these features easily make the Sally Hansen Instant Cuticle Remover one of the very best products on the market. While the ProLink Cuticle Remover’s effectiveness-to-gentleness ratio is still one of the best in the business, this particular product sits on the opposite end of the spectrum to the last product we covered. The ProLink Cuticle Remover is the product for you if you simply want to get the job done and over with as quick as possible. Although you don’t exactly have to worry about complications from regular, proper use, there’s no doubt that this is one of the more effective cuticle removers on the market. As with the above product, it comes with no additional ingredients which are meant to further treat your fingers outside of simply removing their cuticles. Once again, whether this is a good thing or bad thing all comes down to whether or not you already have a moisturizer of choice. If you do, then the absence of additional ingredients will ensure you’re only paying for what you’ll actually use and no more. If you have tough skin with even tougher cuticles, look no further than the ProLink Cuticle Remover. As previously stated, all three of the products we’re listing are very gentle relative to just how effective they are. However, the overall gentleness will vary from product to product. 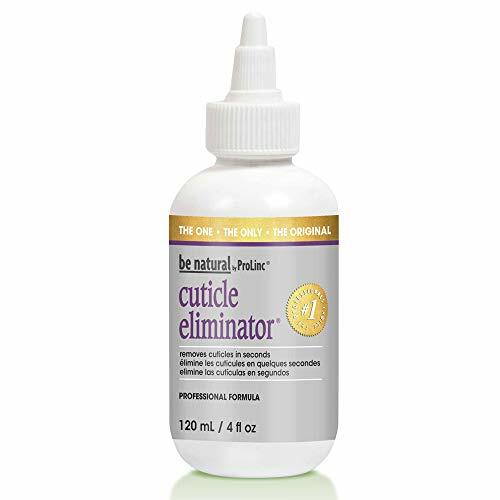 If you find the majority of cuticle removers thin out your nails or cause skin issues, you might want to start off with the CND Cuticle Remover due to its extremely gentle stature. This product is great if you’ve been staying away from other removers for this reason. However, even if this doesn’t apply to you, you may still find it a very worthwhile product. Let’s dive in for a closer look. Taking a look to reviews laid forth by past customers, you’ll come to find that everyone seems to be happy with just how gentle the CND Cuticle Remover really is. Despite this, the majority of reviewers express that they’re happy with the product’s level of effectiveness as well. It’s great to see both of these characteristics in conjunction, being that “effective, gentle cuticle remover” has been an oxymoron for quite some time. In terms of its level of effectiveness in relation to how gentle it truly is, the CND Cuticle Remover is easily the best cuticle remover of all time. However, it’s worth noting that the CND Cuticle Remover doesn’t do a whole lot outside of removing cuticles, unlike the above product which also moisturizes your skin. Now, this can be a good or bad thing depending on whether or not you already have a moisturizer of choice. If you do, then you can be sure that by purchasing this product, you won’t be paying for any added features or ingredients that you have no use for. As such, depending on what it is you’re looking for in added ingredients, this may prove to be a very frugal purchase, which is something we can all appreciate to some degree or another. Because everyone’s skin is different, it helps to decipher the differences between each of the above products to make sure the one you decide on is truly the best for your own skin, rather than simply picking one at random. As such, if you generally skip on moisturizing your skin after removing your cuticles, would like something that will cut down on your moisturizer costs or would simply prefer to not have to work with several different products just to get the job done, the Sally Hansen product we covered is, without a doubt, your very best option. Its level of effectiveness also sits somewhere in the middle of the three different products, meaning it will more likely be able to work with your specific skin type. On the other hand, if you’ve had issues with other cuticle removers in the past regarding skin irritation, you might be better off playing it safe and purchasing the gentlest cuticle remover at your disposal. If this sounds like you, the CND Cuticle Remover will likely give you the gentleness you need without sacrificing too much in the way of effectiveness. Be aware; however, that it’s still recommended that you apply some moisturizer afterward to play it safe. If the opposite is true, and you find yourself having extremely resilient skin (and extremely stubborn cuticles), the sheer power of the ProLink Cuitcle Remover is sure to get the job done. Once again, because it doesn’t come with any added ingredients which are meant to further treat your skin, you’ll still need to use some moisturizer after your wash off the gel. However, if the ProLink Cuticle Remover can’t get the job done, no cuticle remover can. What if none of the above cuticle removers work for you? Perhaps you have very specific needs and would rather shop for a more specific product? If this is the case, try keeping some of the tips in the below buyer’s guide in mind while shopping around, ensuring you get just the product for you, no matter your skin type. Do you need added capabilities? The first of the three products we covered above was more of a multi-purpose cuticle remover, being that it further treats the wearer’s skin after it has served its main purpose. 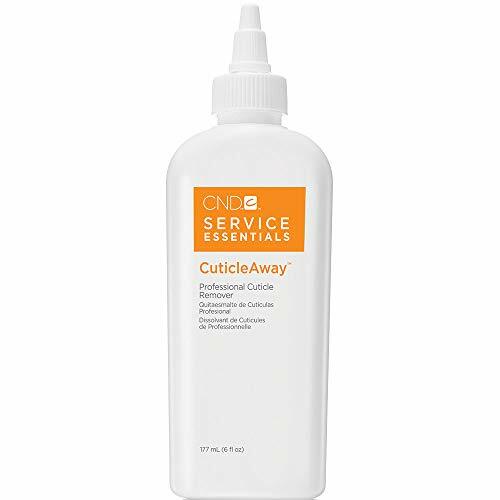 There are other cuticle removers out there which are similar to this product in that they’ll preform in other ways outside of simply removing your cuticles. f you’re planning on buying several different products to treat your fingers, try keeping on eye out for a cuticle remover which can replace one or more of those products. Not only can this prove to save you money in the long run, it may save you time as well. I’ll use the aforementioned Sally Hansen Cuticle Remover as an example once again, though the below information can apply to all cuticle removers that come with added capabilities. Let’s say you already use a moisturizer, though would like your cuticle remover to add even more moisture. Of course, the only logical solution would be to go with the Sally Hansen product, right? Well, perhaps not. It’s important to think about why this cuticle remover works so great as a moisturizer in the first place. Take a look at the ingredients in a cuticle remover to see what makes it so great as a moisturizer (in the case of the Sally Hansen, it’s the aloe) then take a look at your moisturizer. Do they use the same ingredients? If so, using one after the other will do nothing more than simply leaving one product on longer than you normally would. When searching for a cuticle remover which further treats your skin, be sure that the remover in question will offer some added benefit over your other skin care products. How tough is your skin? Nobody wants to spend longer removing their cuticles than they have to. At the same time, you don’t want to end up with skin irritation after rushing through the process by purchasing the strongest remover available. Unfortunately, many brands offer little in the way of recommended skin types. While they may often offer their list of ingredients, how rough a cuticle remover is will also rely on the ratio of said ingredients. So, how do you decide which cuticle remover is gentle enough for your skin? User reviews. Take a look about what others have to say about the cuticle remover you have your sights set on. Is it gentle? Is it prone to leaving its users’ skin irritated? The most important factor to consider when deciding which cuticle remover to go with is just how gentle it is, so it’s imperative you always take the time to look at reviews offered by previous customers and see what they have to say. The main takeaway from this buyer’s guide up until this point has been that you should look for a cuticle remover which is geared specifically toward you and other people with your skin type. At least one of the below characteristics; however, should always be seen in any cuticle remover worth its salt. A Good Gentleness-to-Effectiveness Ratio – This is the best thing to see in a cuticle remover. All of the products we covered earlier excel in this regard. If you’re shopping on your own; however, you’ll need to look at reviews and decide for yourself whether or not a product exhibits this characteristic. Clear Ingredients – As with any cosmetic product, your best bet is going with something which offers its ingredients on the package. While you can still get away with buying products whose ingredients lists are ripe with “proprietary blend,” it always helps when a manufacturer is honest about what they’re selling you. Outside of making a point of looking for a product which exhibits the above characteristics, it’s up to you to find something which works for your skin type. By keeping in mind all of the information found throughout the above buyer’s guide, doing so will be a piece of cake.